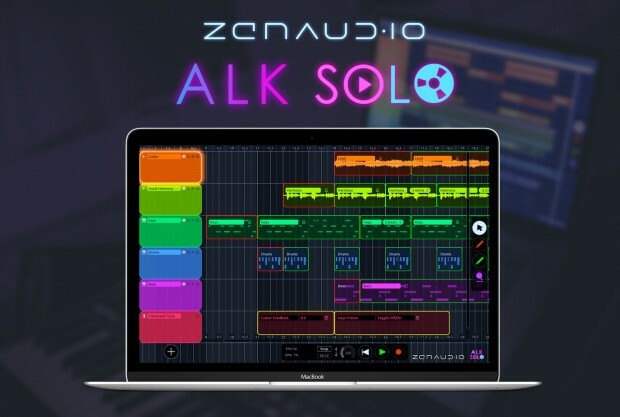 zenAud.io have today released ALK2 Solo, the ‘lite’ version of ALK2. Aimed squarely at the gigging solo performer, ALK2 Solo provides the essential features of ALK2 at an affordable price point. It enables musicians to compose and mix with complete ease while performing live, and is available now for only $35 ($45 List) at the DontCrack Store. ALK2 Solo is a cross between a sequencer and a looper. Like a traditional looper, clips are performed live and subsequently looped to create layers of sound. In addition to this there is a complete sequencer, allowing you to manipulate the loops in real time. They can be drawn, moved, copied, cut and pasted in a musical arrangement, all while performing live. When it’s time to perform the song, ALK2 Solo will follow your arrangement, pressing the necessary virtual pedals to arm channels, trigger effects, and record and play loops at the right time. ALK frees you to do what you do best; perform. This entry was posted in Audio Software, DontCrack, Sequencers and tagged ALK, ALK2, ALK2 Solo, Compose, Live, Looper, Mix, performance, Record, sequencer, zenAud.io. Bookmark the permalink.